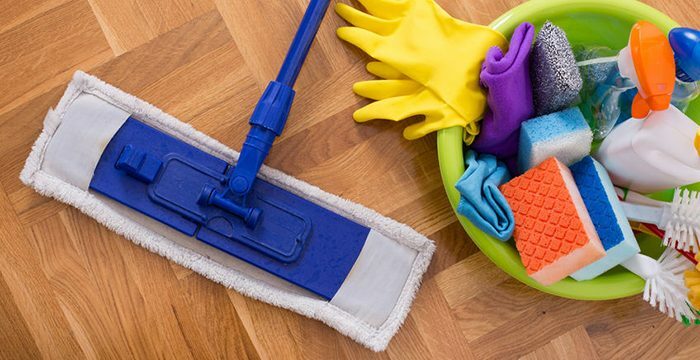 In the process of starting up a cleaning business and before you clean your first home, you need to come up with a house cleaning supplies list to stay organized and efficient. Just Starting Out? Click here to learn how to start or grow your house cleaning business with our House Cleaning Kickstart Course. These are the exact cleaning products I use in my own house cleaning business or highly recommend. This list should help you to get up and running! Just Getting Started? Click here to learn how to start or grow your house cleaning business with our House Cleaning Kickstart Course. 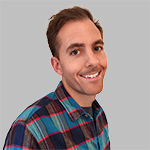 Josh Winningham is the founder of Cleaning Business Academy and All Clean Home. Been cleaning for a few years. Wanting to expand. Was looking at your list. What is PH floor cleaner. I am using a cleaner for hardwood floors and use a steam mop where I can but I have a few floors that are the stick tiles. I am afraid to use the steam mop. I have been using Lysol and a flat microsoft mop. What do you suggest instead? Hi Cheryl, I understand it is a bit pricey. If you have more time than money I would suggest joining some cleaning forums and learn from other cleaning service owners. If you don’t have time and to speed up the learning process then I would recommend purchasing courses from business owners that have already been where you want to be. HI Cheryl, for hardwood floors I would recommend a ph neutral floor cleaner. Basically neutral ph is 7 on the ph scale meaning it is not acidic and will not harm hardwood floors. I also use a microfiber pad as well. I use envirox, you can find their website here. I have been using their cleaning solutions for years. I like them because you can use them for multiple applications. Their products have green seal, epa registered, and eco-logo certifications. Thank you for compiling this list. It’s been very helpful. Hi Elizabeth, great to hear! I’m just starting out and I’m so glad I found your web-site! I was looking over this supply list and was wonder what do you use the pumice stone for? You can use the pumice stone for removing toilet bowl lines. I am really wanting to start my cleaning business with a focus on new construction. I’ve never cleaned other than my home however and was wondering about possibly interning with a local cleaning company to actually learn the entire business. Do cleaning businesses allow for interns? If not how might one go about learning the business from the ground up besides reading everything on the internet? Hi Sandy, Great question. I personally don’t have any experience with post-construction. Honestly, I would suggest going to work for a post-construction cleaning company to learn the business. They might have you sign a non-compete/non-solicitation agreement, however. Love your website! So helpful!! I am a residential house cleaner just starting out on my own. I recently bid for a 1700 sq foot vacation rental and I have a few questions. For general cleaning – what do you usually clean without going into a deeper cleaning? I think my only problem is when I see dirt, I want to clean it. So when I’m doing s regular every other week cleaning it ends up taking me longer because I’m trying to get everything clean! It’s hard to leave the dirt behind when my name is all over it. Ha 🙂 any suggestions would be appreciated. Thank you!!! Hi Lindsey, Great question! You can find my house cleaning checklist here. For me personally, I only perform regular cleanings tasks on bi-weekly cleanings and leave the spring/deep cleaning tasks alone and let the customer request a spring/deep cleaning. There are a few ways you can go about cleaning spring/deep cleaning tasks for a bi-weekly customer. The first two options you would include the spring/deep cleaning cost into their bi-weekly cleaning. And the third option you would charge them extra in addition to the bi-weekly cleaning. The first option, you can rotate spring/deep cleaning tasks every cleaning by including one task every 4th cleaning. For example, you can clean baseboards on the first cleaning, doors and door frames on the second cleaning, window seals and ledges on the third cleaning, and cabinet fronts on the forth cleaning. The second option, you could schedule a spring/deep cleaning on the same day as the bi-weekly cleaning once, twice, three, or 4 times a year. The third option, you can just let the customer request a spring/deep cleaning when they need one or can afford it. Hi Creola, I think owning a franchise cleaning service is a good idea if you have the capital. The benefits of owning a franchise cleaning service are the out of the box branding, training, processes, and systems. The drawbacks to a franchise are the upfront cost and investment, limited territories, and the ongoing royalities fees you have to pay. I am interested in pricing. Starting off how much should I gage my rates to clean a house or business office? Also, what rate to charge for spring/ deep cleaning? Are potential customers paying for size of rooms, labor or task? Or all three? I am a newer small business. Hi Stephanie, here is how I charge for house cleaning. I charge based on how long it takes to clean a home multiplied by my hourly rate. Hi Josh, I have some clients that used to be monthly clients. i would charge anywhere from $75. to $85 for each unit. Now, they seem to not want me to do monthly anymore. Are those clients now considered a one time only clients if they are now requesting me every few months or by need base? I normally charge 25 dollars an hour for 3.5 hours. The town homes are exactly the same but it takes me more time in one of those town homes. I would like to charge a flat rate for these clients. The homes are about 1400 to 1500 sq ft. How much would you charge for something similar as flat rate? Hi Cherie, yes they are considered one-time clients since you no longer clean for them on an every 4-week basis. So you would need to charge them your one-time rate and not your monthly rate. You would charge how long it takes to clean multiplied by your hourly rate. Hi Kimberly, It’s great that you do have cleaning experience with a reputable cleaning service. Honestly, you will not know exactly if it’s a good idea unless you try it out and have first-hand experience doing it yourself. Some people like working for other companies and some people like working for themselves. What do you use to clean marble and terrazzo? I have been coming across some conflicting information and hoping to get some advice! Hi Olivia, honestly for a maintenance cleaning I just use a ph neutral floor cleaner with a microfiber mop head. For long-term care, I refer homeowners to hard floor specialists like a stanley steamer that have the equipment to buff and professional clean marble and terrazzo. There’s only so much a microfiber mop head can do. What brand disinfectant cleaner would you recommend? Hi Victor! I personally use Envirox. There are some other vendors you can find through the green seal certified website.